Wireless Thermostat installations, Hive, Nest, Honeywell.. So, What is a CP12? 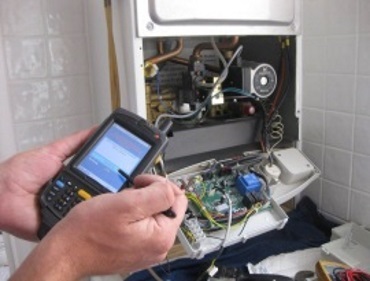 Gas safety records are frequently referred to as CP12 certificates. This name is a little bit out-of-date – CP12 is a shortening of CORGI Proforma 12 and dates back to when CORGI was the main UK body for gas safety matters. However, while gas engineers used to have to be CORGI-registered, this ceased being the case in 2009 in the UK and in 2010 in Guernsey and Northern Ireland, and the Gas Safe Register became the official registration body after this time. So other than their name, CP12s and Landlords’ Gas Safety Certificates are the same thing, and have the same requirements – they must be provided to existing tenants within 28 days of their completion, and to new tenants, before they move in. They will contain all the results of the annual gas safety checks and should be supplemented with records of any remedial action taken as a result of the checks. If you need a CP12 or a Landlords’ Gas Safety Certificates we can send one of our Gas Safe engineers out in a flash. We are more than happy to give advice on which solution is most suitable for your needs. Why not ask one of our Certified Gas Safe Engineers to view your property and discuss the various options with you now. Our advice is free!